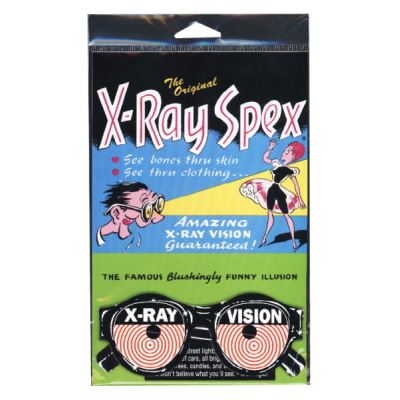 X-Ray Spec - Our X-Ray Specs® Lenses are the world's funniest practical joke! These mesmerizing specs have amazed millions all over the world. With this famous, blushingly funny illusion, see the bones in your hand or start a riot at the office pretending you can see through clothing. Look at any bright point of light such as city streetlights, holiday lights, or candles and see the words "X-Ray" magically appears. 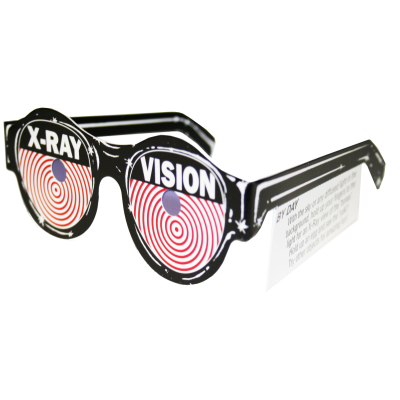 Take X-Ray Specs to parties, get-togethers, and hospitals. 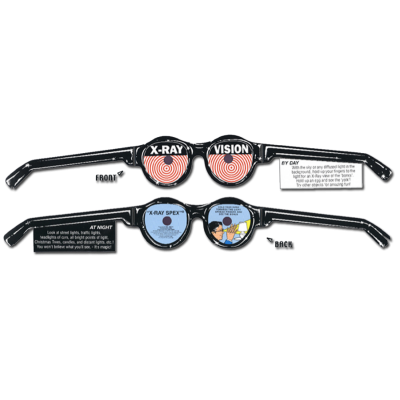 X-Ray Specs are a great novelty item and ice-breaker for doctors, dentists, radiologists, stockbrokers, detectives and security personnel. A fun BLAST from the PAST!!! !